When: Wednesday, Thursdays, Fridays, and Saturdays at 8:00pm. Cost: Tickets start at $25.50. Click for tickets. This was so much fun that we’re going back next weekend. That’s how incredible BATSU is. Roughly translated, BATSU is defined as the “game of penalty” or “punishment.” However, we think it should be called the “game of comedic penalty.” This interactive live Japanese game and dinner show will leave you full of delicious authentic fare and a smile from cheek to cheek. Located in the East Village, JeBon Sushi hosts BATSU in its downstairs dining area that has a private event feel. It’s the perfect spot for an immersive performance where the cast uses the whole space to perform the show. You’ll see everything from food to hip-hop challenges performed at this one-of-a-kind New York City experience. The show starts with a bang (literally on a gong) and the audience is swept into BATSU. The cast comes out, performs unique number’s, and the audience laughs their faces off. As the show goes on and you get your fill of the delightful food and alcoholic beverages, there are several tasks that are completed by the team of performers (and a few lucky participants). However, if a task is failed, then BATSU ensues. One of the BATSU’s is an electric shock! But don’t worry, there are waivers to sign for this type of thing. More calm BATSU’s include a dance lesson by “Ballerina Bro” (which was HILARIOUS) and a pirate BATSU that you need to witness in person. I brought my family on a Friday night; however, it is great for any crowd. The evening we went it was a lot of twenty-something groups, however, the owners have seen every age and demographic come to the show (must be over 18 years old though). It’s great for birthday’s and celebrations of all kinds, or a fun night out. 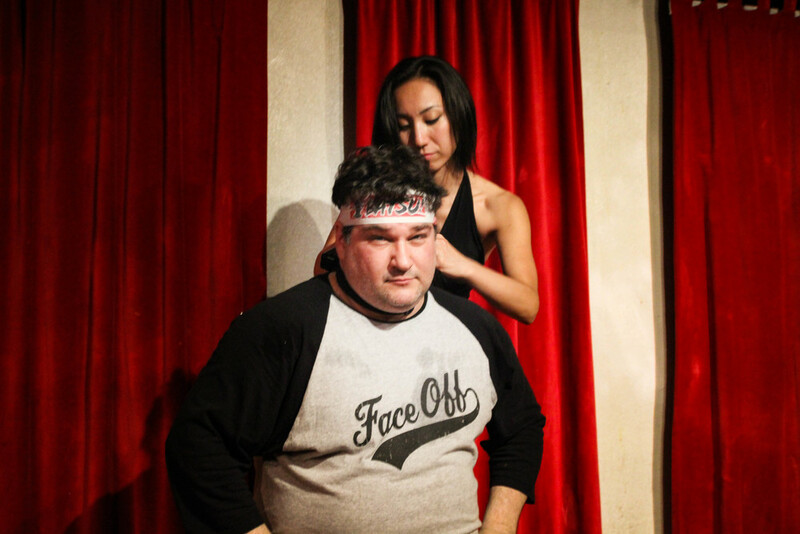 BATSU is popular so make sure you book at least two weeks in advance for tickets. Click here for tickets.